Mite AA's State Champs!! Let's get ready to raise that banner! All of the public skate & open hockey times are now on the calendar for the month of November. We encourage all of you to attend as many open skates as you can. Ice time is very important for young skaters. Public skate admission is $4.50 and skate rental is $2.00 if needed. The Park District has offered up a punch card for us that you can purchase to save a little money. The card cost $34.00 for 10 public skates, but does not include skate rentals and cannot be used for open hockey (open hockey cost $5.00). That's a savings of $11.00 over 10 public skates. The punch cards can be purchased at the arena at the public skates or anytime you are at the arena. The punch cards will be located at the concession stand and can be purchased there. The Chicago Blackhawks and Chicago Blackhawks Foundation are proud to present an award named after U.S. Hockey Hall of Famer Eddie Olczyk to support young hockey players and teams in Illinois who may not have the means to play at a competitive level. As the head instructor at the Blackhawks Hockey Camps, Olczyk is dedicated to the development and growth of youth hockey in Illinois. Amateur Hockey Association of Illinois (AHAI) organizations in need of assistance to run programs which increase the participation in and quality of youth hockey. 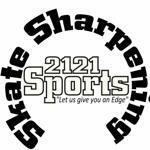 If you need your skates sharpened contact 2121 Sports out of Pekin. You will not be disappointed. A couple of the services they offer are skate sharpening which is $7.00. It is professional skate sharpening using the Maximum Edge 7 step process. Rivet replacement on hockey skates is a $1.00 - $2.00 per rivet. They also offer profiling and replacement steel for Bauer skates size 6 and up. They sell Howie's hockey tape, skate guards, and laces as well. Contact Dan Englebright at 309-241-0712 for your skate care needs. ©2019 Pekin Amateur Hockey Association / SportsEngine. All Rights Reserved.